So! I’ve actually been doing some drawing since my last post. 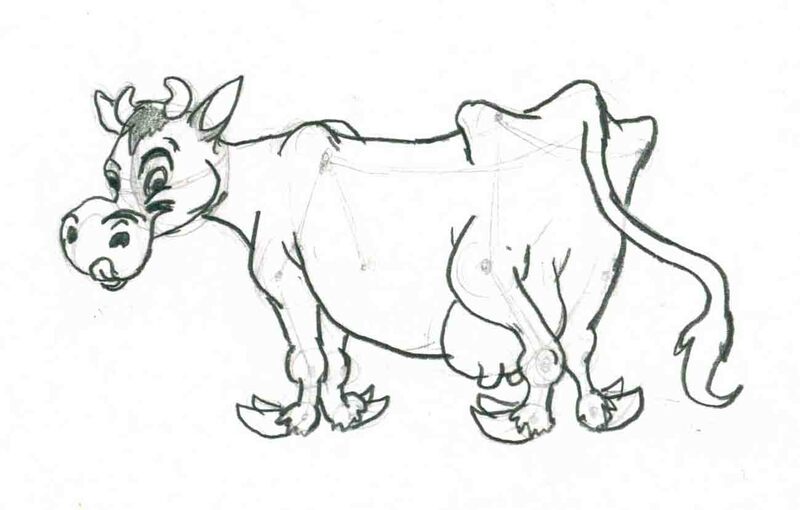 What I’ve been working at lately is just simple construction drawing (simplifying characters into shapes), which is why I’ve been working from the Preston Blair book. The page above is from yesterday, and although there are still some crummy drawings in there, I feel like I’m starting to get back into the swing of things. I’m back from vacation, and for a bunch of reasons I’m having a hard time getting back into the routine. So, baby steps. 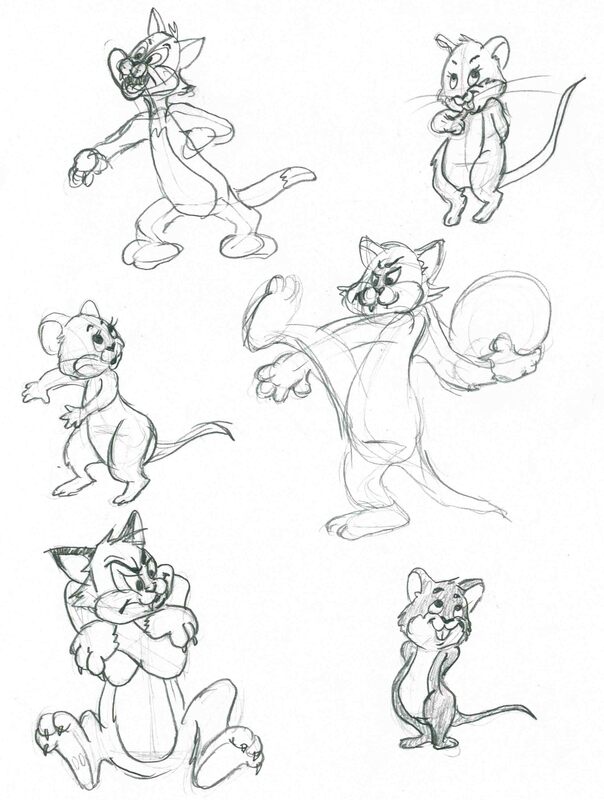 Here are 3 Preston Blair drawings (drawn from shapes & simple skeleton foundations) that are probably some of my worst that I’ve done from that book. But hey, I did it, and that’s what matters at this point! Last night was one of my late nights at work, so it’s generally a night when I don’t have as much time for drawing. 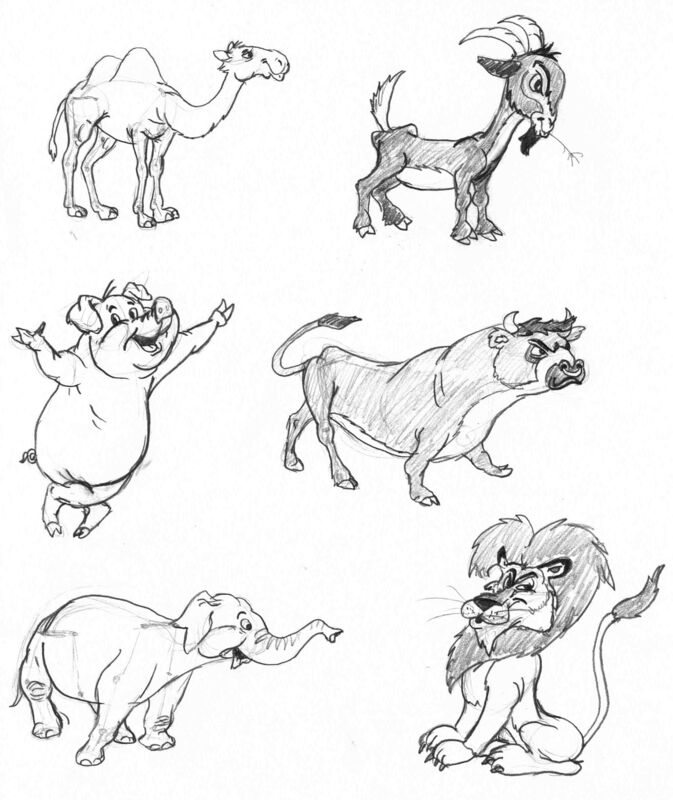 For that reason, I decided to go with a few more Preston Blair cartoon animals so it wasn’t too time consuming. But I’m really feeling conscious of the fact that I haven’t done any life drawing in quite some time. I was lazy, lazy, lazy last night – just getting in at least one day of procrastination before daily drawing & song writing begins tomorrow, right? 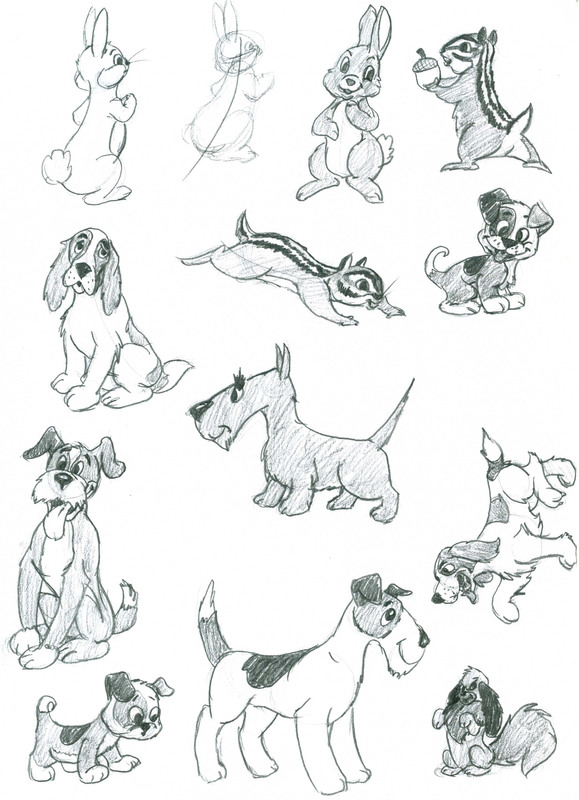 Anyway, I felt guilty this morning & did a few really quick Preston Blair drawings – these are more of the skeleton foundations I did back in January (!) – I can’t believe it’s been that long. 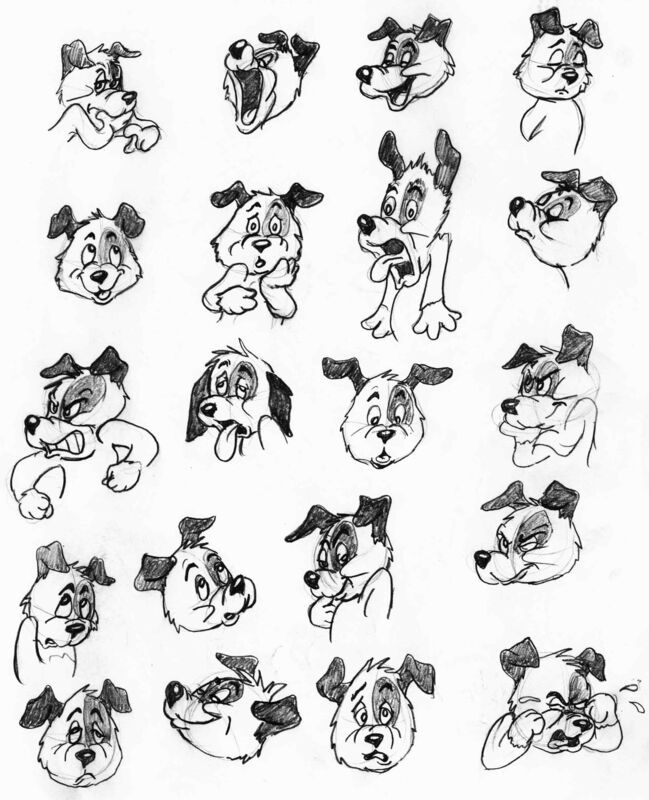 More from Preston Blair – still on facial expressions. Actually, my last post was from a section on “stretch and squash on heads”. I really like cartoons, animation, comics, etc. So while I’m trying to get better with anatomy and drawing from life, I’m hoping these kinds of exercises will help me with construction because I’d like to create my own characters at some point – although I’m not sure I’d follow this exact style. This is likely my last post of 2014, so, happy new year! EDIT: Updated with scanned image!